Mike Williams and myself got into a three-way conversation with Michael Joseph concerning a few ‘elephants in the room’. Here’s our discussion, recorded back in August, but only just released. Conversation starts @ 3:05 – A truther triple threat of Mike-Mark-Mike; all getting together to discuss the elephant in the room experiences of dealing with issues that should seem quite obvious to most, but are somehow so elusive to people both inside and outside of the ... See More so-called 'Matrix'. We go into the multi-faceted aspects of social engineering from news/media, arts & entertainment, health, education and also the religious and political sphere at times. We are humble enough to admit that we might be missing a few elephants of our own, but a therapeutic rant session was in order which is needed every so often; and this was such an occasion. 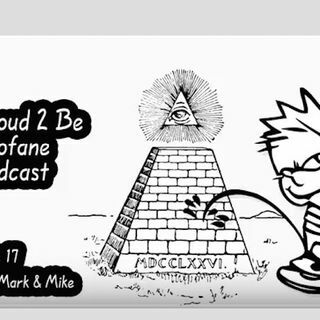 We gave some solutions at the end but were unfortunately cut short due to time constraints and unforeseen technical difficulties; that segment was intended to be longer but we'll just blame it on the 'Illuminati messing with us' rather than Mike's lack of understanding on how to record 3 audios at once. Enjoy.